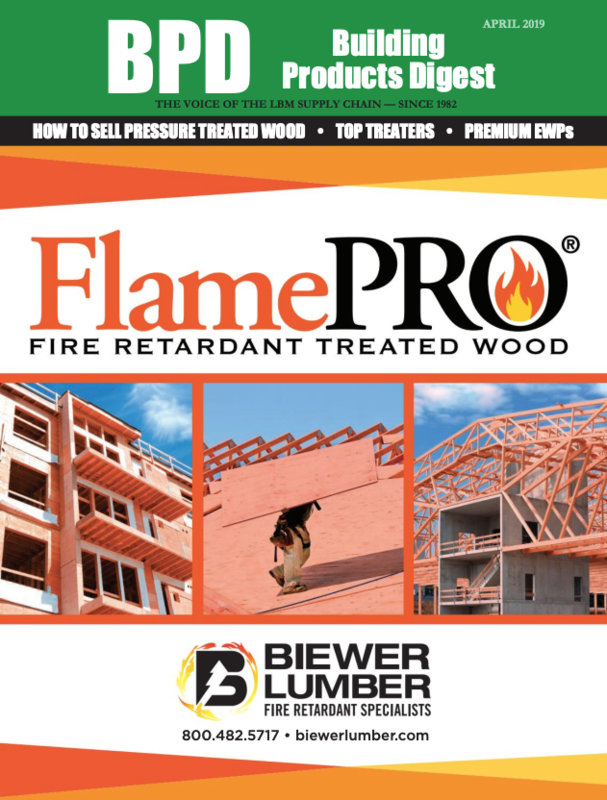 Bliffert Lumber & Hardware, Milwaukee, Wi., has purchased the former Neu’s Supply Line Inc.’s lumberyard in Germantown, Wi., as its eighth location. Conifex Timber, Vancouver, B.C., has completed the sale of Lignum Forest Products to Canwel Building Materials Group Ltd. This year’s DeckExpo in Baltimore brought together three columnists from Deck Specialist, to look ahead at 2019’s hottest trends in outdoor living. Listen and learn from David Elenbaum, Brendan Casey, and Matt Breyer. Unlike standard fasteners, the 1Shot anchor penetrates thin steel studs and holds them tight. 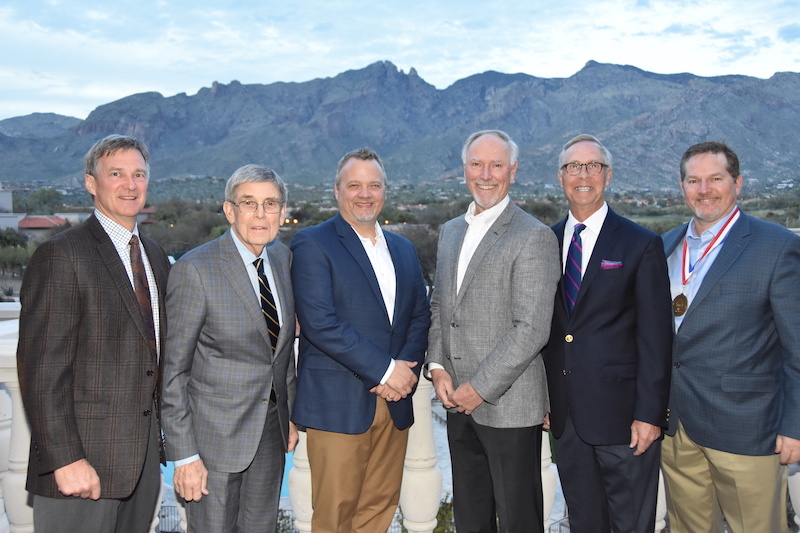 Texas lumber dealers and suppliers will benefit from the passage of pro-business legislation currently before the state legislature and identified as part of the Lumbermen’s Association of Texas’ 2019 legislative priorities. ProtectoR HD High Density Polyiso Cover Board by John’s Manville provides excellent protection and can save time and expense for contractors. 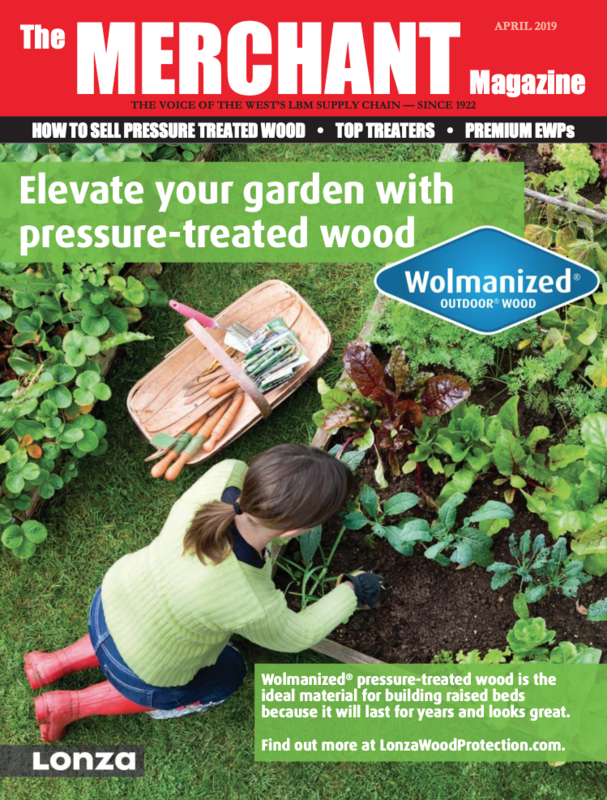 Don’t limit your pressure treated wood sales to just standard dimension or plywood products. Answer your customers’ SOS for hard-to-find preservative-treated products with TSO. What are you doing to make up for labor shortages? What are you doing to overcome your biggest challenge in business? 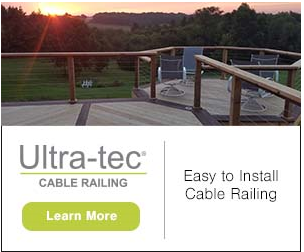 Today, many building products boast about their environmental benefits. Relatively few, however, back up such claims with scientific evidence. 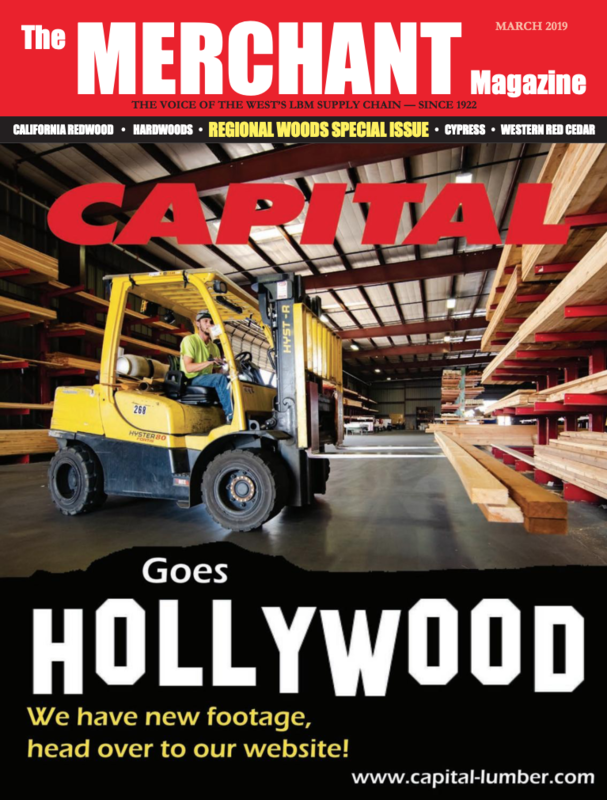 For decades, the California redwood industry has supported its claims with scientific data. Natural hardwoods offer sustainability, authenticity and comforting natural beauty. The added bonus? They are all derived from a material straight from the soil. As anyone working in the softwood industry would agree, 2018 was a predictable and uneventful year. When it comes to interior home designs, trends are constantly changing. But if there’s one thing that never seems to go out of style, it’s natural wood. This isn’t going to be one of those “beloved, third-generation hometown yard builds on its legacy” stories. Nope. McCabe Lumber, of Lovelace, Oh.—20 miles from the Cincinnati metro area and serving Northern Kentucky and Southeast Indiana as well—didn’t even exist in the 20th century. Today, it’s a blockbuster, both in market share and innovation. Olsen on Sales: Thank You, Sir, May I Have Another? Building our sales book of business is challenging. For many of us, it will be the most challenging thing we will do in our careers. Building trust with new customers is a test. When we do break through and they start to give us business, it feels fantastic! Many of the old tried and true methods still work for us—as they do for others. However, like many, we have jumped on the digital bandwagon to explore new horizons and capture the Millennial market, in particular. In May 1951, young Robert Arnold, fresh from college, snagged his first job, working for his stepmom’s boss. That job was selling feed in upstate New York in a small town called Malone. But that didn’t last long. The older gent was in a hurry to retire. He approached the Arnolds. Young Bob voted “no.” His dad, however, voted “yes”—and “yes” prevailed. Ironically, Dad passed away two years later, leaving Bob to run the show. The building and construction industry is booming—and has been growing steadily since 2011. Much of this growth can be attributed to the residential sector, led primarily by single-family construction, which is projected to see a 9% growth, while multi-family construction, which hit its peak in 2017, is expected to decrease slightly. If you’re still categorizing OSB as a commodity or treating it as an afterthought, it’s time to rethink your approach. Thanks to advances in manufacturing, OSB has evolved into a category where dealers can sell panels based on builders’ specific needs, from budget to functionality to labor concerns. Options abound, with some premium panels offering performance like never before. Decks, patios and porches have long been popular for relaxing and entertaining guests, but today’s homeowners are increasingly requesting spaces that are even more functional—outdoor rooms. To meet these needs, design professionals and builders are relying on products, such as cypress, that offer good looks, durable performance, and versatility for indoor and outdoor use. Study after study shows that grateful people outperform ungrateful, or cynical ones. They’re more successful. They’re happier. They persevere more. What do you get when you plant a lumber company named Lacrosse (a town on Wisconsin’s bank of the Mississippi) into a community called Louisiana? Exterior trim is often overlooked as an essential point for curb appeal when building or remodeling. World Millwork Alliance is partnering with Keystone Certifications to introduce a new product certification program. Traveling children's museum allows kids to interact with the lumber and construction industry. The fear of rejection has cost you a lot of money. There’s a lot of business you haven’t asked for, or followed up on, because of fear. There are a lot of referrals you haven’t asked for because of fear. By holding back the price on the first part of the offering we force the customer to engage with us. Humans want to know what’s behind the curtain; we can’t help ourselves. National Hardwood Lumber Association members will vote this fall on proposed hardwood rules changes that could significantly affect the industry. Hot color combinations in paint and design include the nostalgic hues of the Memories palette. 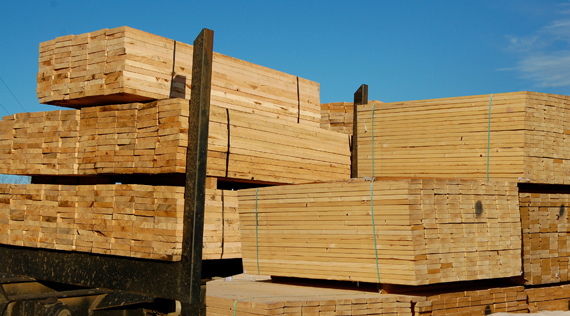 Sherwood Lumber Corp., Melville, N.Y., has selected Stockton, Ca., for its new Northern California distribution center. The U.S. Department of Commerce is placing countervailing duties on imports from Canada. Holmquist Lumber Co., Grove City, Mn., shut down March 31 with the retirement of Charlie Holmqvist. Weakley-Watson Hardware, Brownwood, Tx., was preparing to shut its doors after 140 years. Archbold, a tiny town tucked into the northwest corner of Ohio. What is your sales approach or style? The NAWLA Leadership Summit + WWPA Annual Meeting is a three-day educational and networking event where you can grow your business, your knowledge and your network. Feature Story: Are Dealers Doing Enough to Ensure Builders buy the Right Treated Wood? View Digital IssueSubscribe for free and receive The Merchant in print plus full access to all online content. 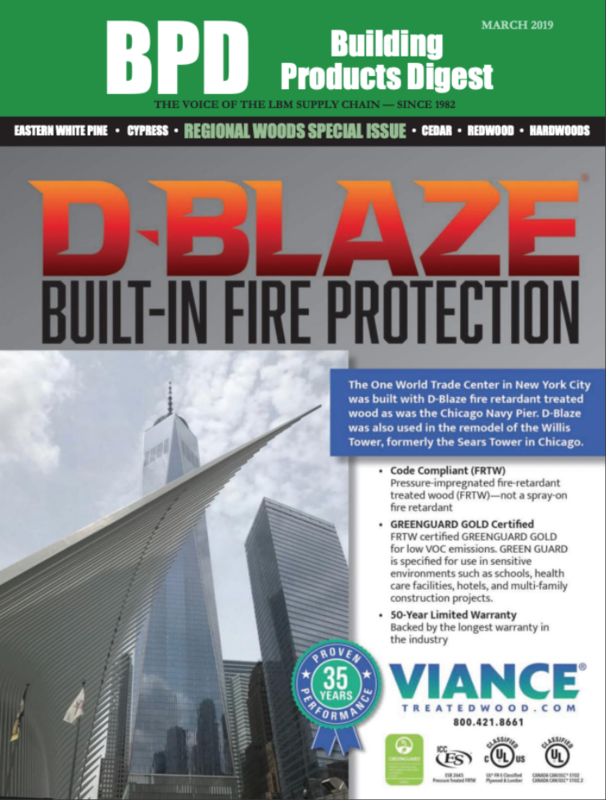 View Digital IssueSubscribe for free and receive Building Products Digest in print plus full access to all online content.